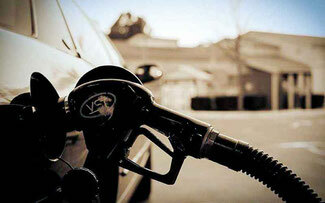 Every year - gasoline prices are increasing all the faster. What is very noticeable hits the wallets of car owners. But is it possible to reduce fuel consumption? Yes Fuel consumption can be reduced, and quite significantly. After a trip to the car should bring enjoyment and pleasure instead of counting each liter of spent nowhere. 1) Any object located on the outer side of the vehicle and creates aerodynamic interference significantly increases fuel consumption. After all, a car is necessary to expend more energy to overcome the obstacles that create items such as spoiler, roof boxes and hood of the car. Simply say what was not included in the packaging from the manufacturer. Do not install anything extra. 2) Included in the energy-consuming devices on the network such as: mobile phone, laptop or tablet. One air conditioner is able to spend about 1 liter per 100 kilometers, that pretty much. Use lighting and appliances only when necessary. Do not go with the air conditioner if the machine 30 degrees in the winter, that you only improves fuel consumption. 3) In winter, do not effectively heat the interior of the car to 20 - 25 degrees. You can start to move after the engine has warmed up enough, and the interior is gradually warmed up ahead of the vehicle. 4) Fast rides, sharp inversions and wobble on the road significantly increases fuel consumption. After the engine has to constantly change the tempo of the movement and it makes it consume more fuel than during normal driving. 5) Try not to exceed the speed limit and do not make your engine work more than his norm. After all, at high revs the engine consumes more fuel than at normal speed. 6) Move slowly, do not make sudden acceleration and try as possible to smoothly switch the gearbox, if you have the mechanics. 7) Make sure the tire pressure. It should not be too high or low. If the tire pressure is insufficient, then the car will consume more fuel to pull their weight. 8) Do not let the engine run at idle. If you know what stopped for more than 5 minutes, it is better to stop the engine, so that a little bit, but to save fuel. 9) Only suitable for automatic transmission drivers. Using Eco-Mode. 10) Use of the latest oils which reduce friction in the engine, reduces fuel consumption. Keep an eye on your car. And observing many of these tips you will be able to ride in a car with pleasure and not to spare on each liter of gasoline spent in vain.